Animated graphical software displays comprehensive, real-time information on lighting and system operation while providing powerful tools for managing and monitoring lighting across one or more locations. Apps transform mobile devices into powerful lighting controllers. Apps enable users to manage lighting and other connected controls using mobile devices such as tablets, phones and watches. Active status monitoring of each fitting and device, dynamic feedback from network hardware, and real time detection of DALI lamp and driver failure – from any device, anywhere. 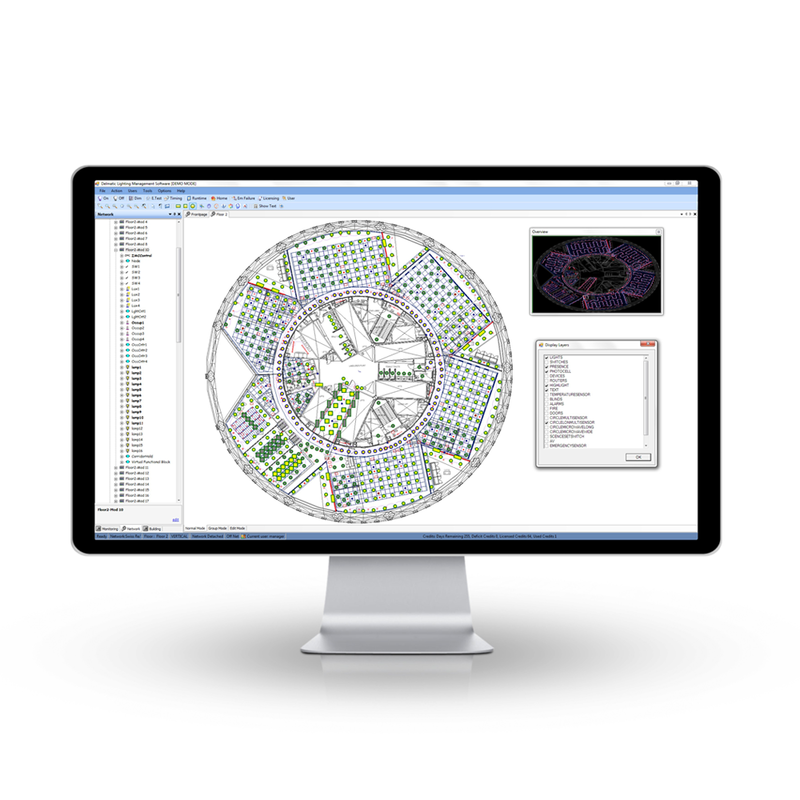 Drag-and-drop virtual wiring adapts lighting configurations in real time, instantly updating scenes, control patterns and scenarios to match changes in space planning and utilisation. Software and Apps provide round-the-clock emergency light testing, monitoring and logging with configurable test cycles and asynchronous testing options. Manage and adjust lighting and other open services from your tablet, phone or watch with integrated QR codes for location based actions.